Posted Date : 01-Mar-2017 , 09:01:00 | Posted By : May I Help You. Posted Date : 03-Nov-2016 , 08:42:32 | Posted By : May I Help You. 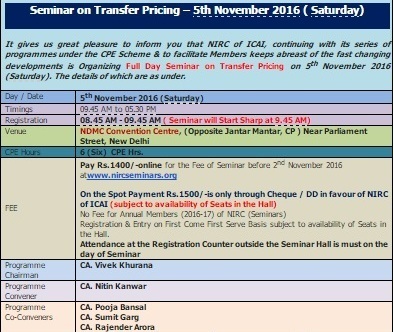 Dear Sir/ Madam, Seminar on Transfer Pricing – 5th November 2016 ( Saturday) It gives us great pleasure to inform you that NIRC of ICAI, continuing with its series of programmes under the CPE Scheme & to facilitate Members keeps abreast of the fast changing developments is Organizing Full Day Seminar on Transfer Pricing on 5th November 2016 (Saturday). The details of which are as under. Day / Date 5th November 2016 (Saturday) Timings 09.45 AM to 05.30 PM Registration 08.45 AM - 09.45 AM ( Seminar will Start Sharp at 9.45 AM) Venue NDMC Convention Centre, (Opposite Jantar Mantar, CP ) Near Parliament Street, New Delhi CPE Hours 6 (Six) CPE Hrs. Join all region joint conference at Goa from 19th to 21st Aug. 2016. Posted Date : 12-Jul-2016 , 08:24:24 | Posted By : May I Help You. Posted Date : 08-Jul-2016 , 08:50:41 | Posted By : May I Help You. Posted Date : 22-Jun-2016 , 09:20:24 | Posted By : May I Help You. 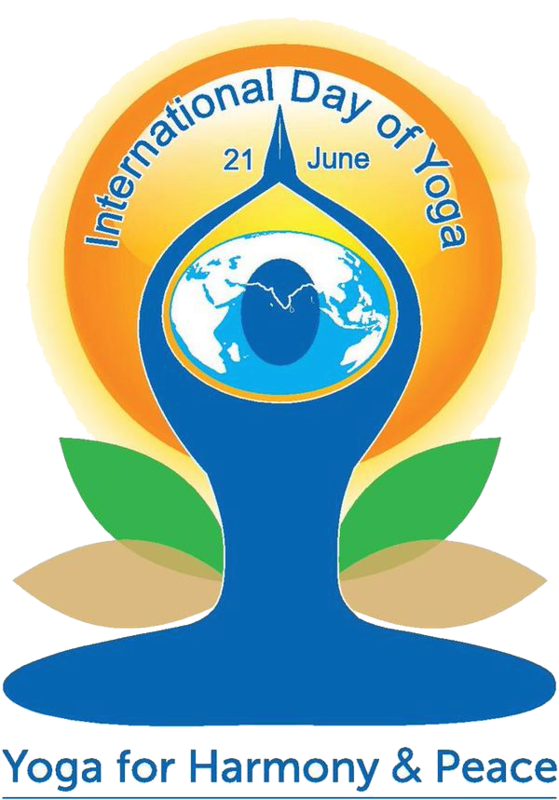 Posted Date : 20-Jun-2016 , 07:57:21 | Posted By : May I Help You. Posted Date : 15-Nov-2015 , 11:49:21 | Posted By : May I Help You. Posted Date : 03-Nov-2015 , 08:31:47 | Posted By : May I Help You. Events for Chartered Accountant,Company Secretaries,Cost Accountants.All CA Firms in Delhi,Top Accounting Firms under CASANSAAR,Shares event Online.